HOME > What is AIS? The Automobile Inspection System, Inc. (AIS) acts as an impartial, third-party organization - conducting rigorous inspection of used cars and motorcycles to ensure used vehicle distribution which customers can have peace-of-mind in and trust. Each used vehicle has a different value, and there is a need to evaluate quality by inspecting each vehicle's conditions. Therefore, almost all the used vehicles we deal in have been inspected. AIS has a track record of over 20 years in used car inspection, and over 10 years in used motorcycle inspection, and our inspections have been recognized as the most rigorous in the used vehicle industry. As a result, we have earned the support of the used vehicle companies of manufacturers such as Toyota, Honda, Nissan, Mazda and Subaru, and we are standardizing evaluation in order to further improve trust in used vehicles, and stimulate the used vehicle market. What is "Inspection in the Industry"? 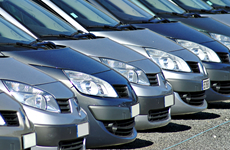 Inspection in the used vehicle market involves evaluating quality. Unlike the new vehicles sold by new vehicle dealers, used vehicles arise because their owners – primarily ordinary customers – decide to let go of them for some reason. At present, most vehicles displayed or purchased by used vehicle dealers are traded via auction houses, but used vehicles each have their own price, and are never in exactly the same condition. Therefore, there are large differences in price between different units. In other words, used vehicles differ greatly in price due to their use condition, and inspection is the task of determining this vehicle value.